Members of the audience listen to CTA President Dr Lobsang Sangay delivering a talk on Tibet to a packed auditorium in Osaka, Japan, on 29 January 2019. 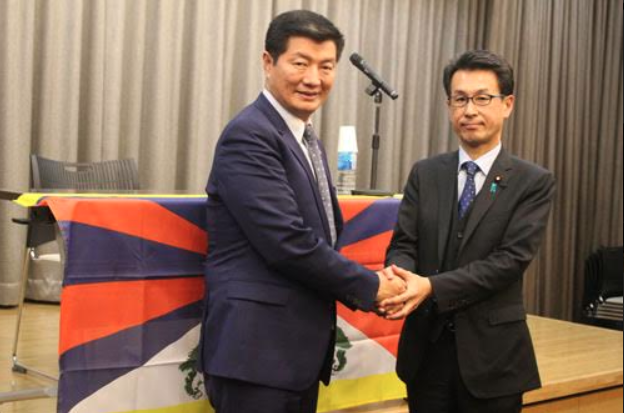 TOKYO: In a public talk on the issue of Tibet in Osaka city in Japan today, CTA President Dr Lobsang Sangay emphasized that to understand China one must understand Tibet. The CTA President said academic freedom and discussion on Tibet issue are not allowed and teachers are threatened with expulsion in universities where Chinese students study are coming under increasing pressure and coercion of the Chinese government. He said Japan should be wary of this dangerous trend which could threaten academic freedom in Japanese educational institutions. CTA President Dr. Lobsang Sangay with Mr. Nagao Takashi, Member of Japanese Parliament from Osaka constituency, before his talk on Tibet to a packed auditorium in Osaka, Japan, on 29 January 2019. During his visit to Osaka city, CTA President visited Todai-ji Temple in Nara, the ancient capital of Japan from the years from AD 710 to 794. The temple houses that Great Buddha Hall, which the world’s largest bronze statue of the Buddha, is a listed UNESCO World Heritage Site. Hundreds of deer, regarded as messengers of the gods in the Shinto religion, roam the temple grounds freely. President Dr Sangay was taken for a tour inside the temple by abbot Reverend Kojo Morimoto and he offered prayers. 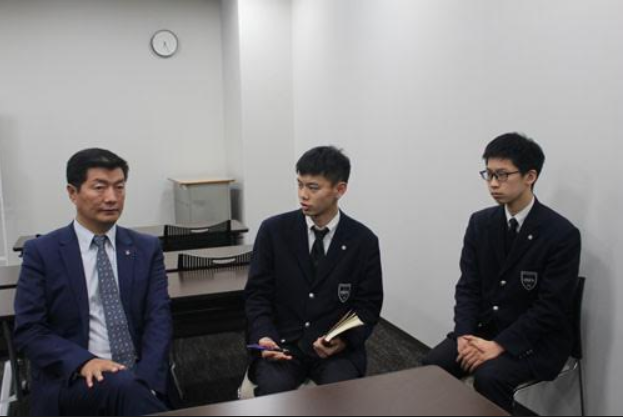 CTA President Dr. Lobsang Sangay being interviewed by Japanese students before his talk on Tibet to a packed auditorium in Osaka, Japan, on 29 January 2019. CTA President Dr. Lobsang Sangay with Rev. 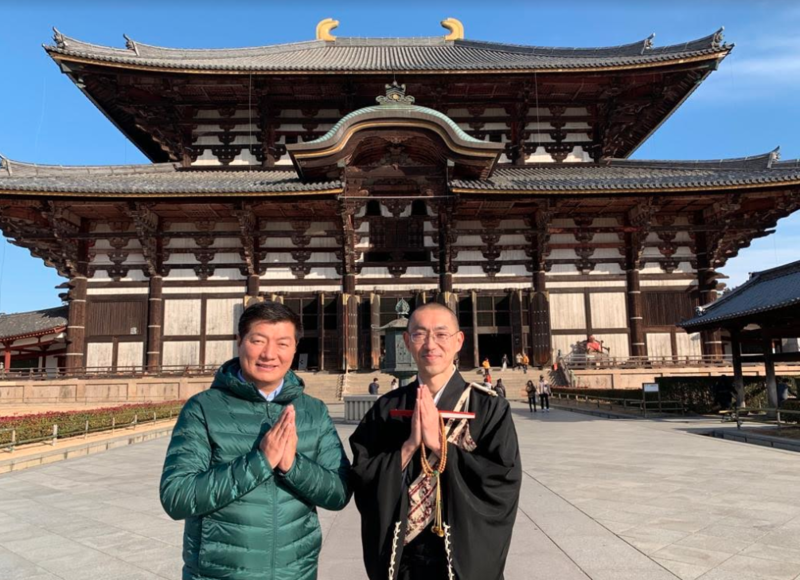 Kojo Morimoto, Director of General Affairs of Todai-ji temple during his visit to Todaiji Temple in Nara, Japan, on 30 January 2019. 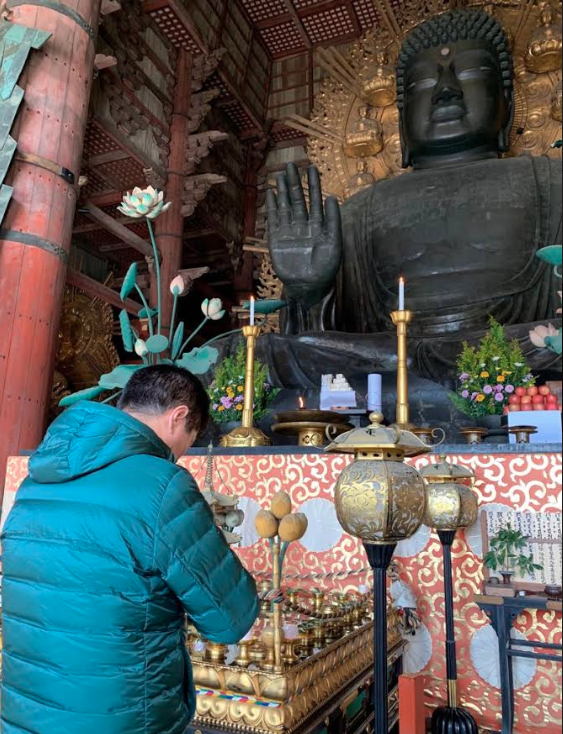 CTA President Dr. Lobsang Sangay offering prayers during his visit to Todaiji Temple in Nara, Japan, on 30 January 2019.